HomeSamut PrakanTake a Bike Tour with Local in Bang Krachao, the Urban Oasis! Escape from the chaos, traffic jam and air pollution from Bangkok to Bang Krachao, the peaceful greenery near Bangkok! You can enjoy various food at a floating market (opened on weekends only) and ride along the spider web-like maze! Let's rent a bicycle to ride along everywhere to start the trip! (weekend only) Arrive at Bang Nam Pheung Floating Market which has many kinds of food i.e. old school Thai desserts and Thai food. You can buy any food or desserts that you want to taste! Let's snack away! (weekend only) Walk around the floating market to spend to explore and experience many interesting things! Next, let's rent a boat to ride along the canal to see how the locals live and enjoy the view! Let's ride the bike to an herbal stick house workshop and make herbal sticks by yourself. You can spoil yourself with a Thai massage, depending on you needs! Let's come back to floating market again to have lunch! Ride your bicycle around Bang Krachao in the spider web-like maze! I'm sure you will enjoy the sceneries along the way! Next, we arrive at Thai Fighting Fish Museum! There are many species of fish that can be seen in this museum! Arrive at Sri Nakorn Kuen Khan Park, which is a beautiful and peaceful natural park to restore your energy life. You can also enjoy some bird watching right here! Let's go back to the meeting point, and I'll send you home! 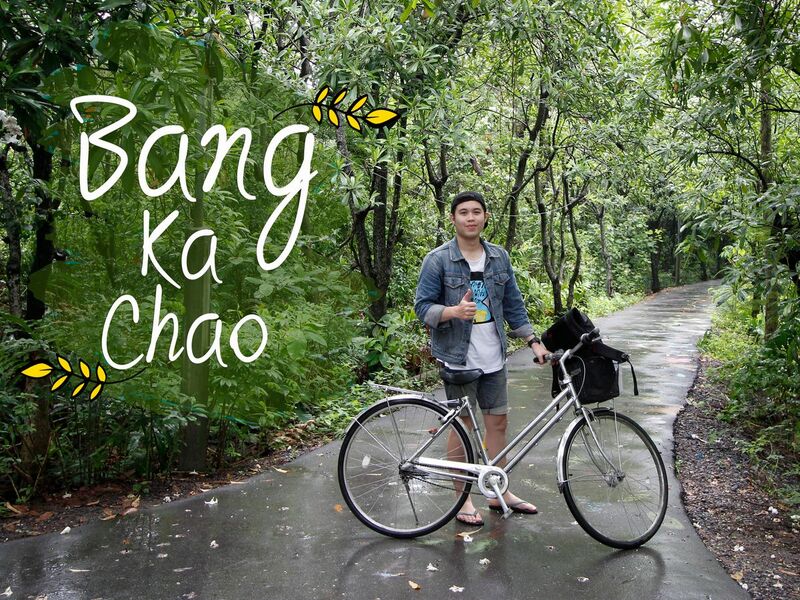 Le'ts say goodbye Bang Krachao! Please wear comfortable clothes and shoes for biking. Had never imagined that Bangkok has this hidden beautiful island, Bang Ka Chao. This small green island is a great choice for those who love biking off the city.Tourists have never found that place without a local showing them the way. A hugely thankful to Thap, who has a very extensive knowledge about the areas and tends to show me any places i would also love to see. Thanks again for a great experience! Thap knows Bang Krachao neighborhood really well. He was informative not only about the place and it's inhabitants but also introduced us to the authentic local eats of Bang Krachao. That for us meant a bonus of culinary discovery in addition to discovering the green lung of Bangkok. He was extremely flexible with the tour, ready to accomodate any activity we fancied , visit to the floating market, tie dye workshop, feeding the fish at botanical garden. He paid careful attention to us, checking from time to time if we were comfortable with the route, since I particularly found it difficult to navigate through the narrow cycling path. I strongly recommend this tour with Thap.